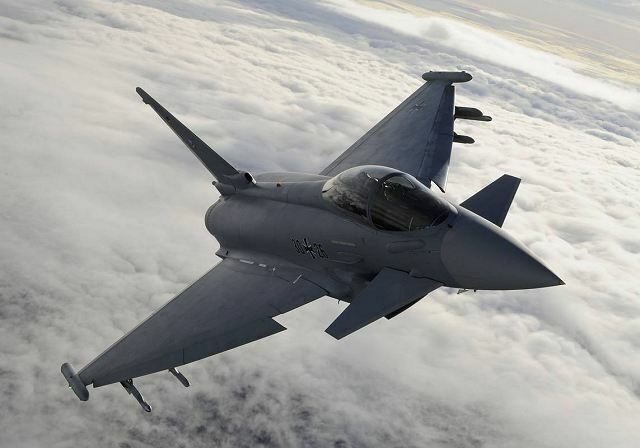 The Eurofighter Typhoon is a twin-engine multirole combat aircraft, designed and built by a consortium of three aviation companies: EADS, Alenia Aeronautica and BAE Systems; working through a holding company, Eurofighter GmbH. 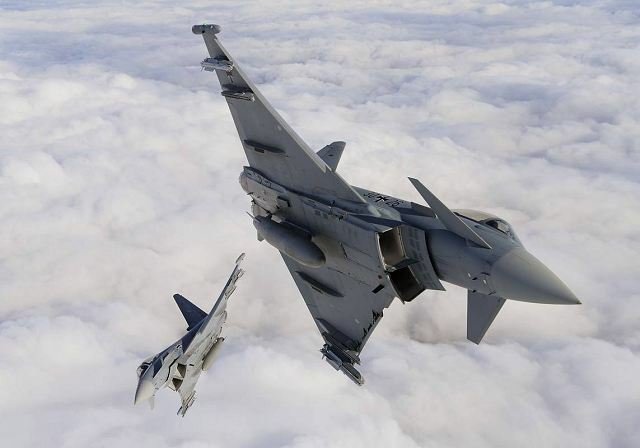 Established in 1994, the Eurofighter consortium brought together the brightest minds in European aerospace within the leading companies of each of the partner nations in order to create a world class weapon system. 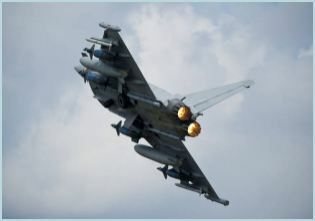 Eurofighter Typhoon has propelled European manufacturing, engineering and technology to the forefront of international capabilities and has ensured the continued independence of European aerospace. The consortium prides itself on the ability to effectively work along International partners, evident in the strong relationships it holds with its export customers Austria and the Kingdom of Saudi Arabia. The industrial benefits gained by each investing nation goes beyond that of initial. 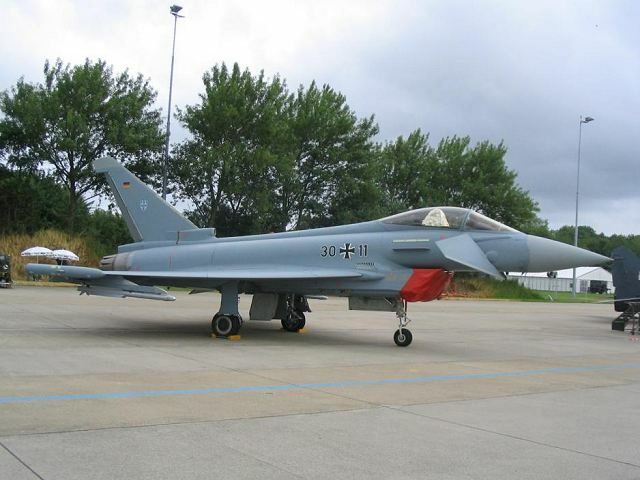 The Eurofighter Typhhon is used actually by Austria, Germany, Italy, Saudi Arabia, Spain and United Kingdom. 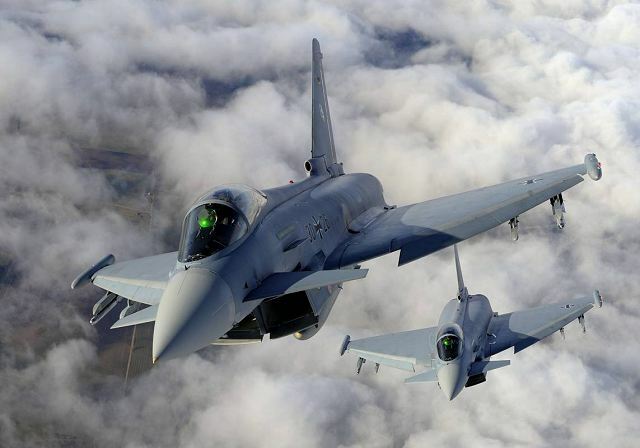 The Eurofighter Typhoon can undertake all the following missions and roles, as air superiority and airspace policing, Air-to-Surface (including air interdiction, close air support, maritime attack, suppression and destruction of enemy Air Defences) and reconnaissance. Due to the flexibility of the design, future missions and rolescan be readily accommodated. This flexibility is based on advanced avionics, sensors and weapon integration techniques that are unique to this aircraft. Eurofighter Typhoon is a genuine swing-role aircraft, with the ability to carry out several roles during a mission, shifting between Air-to- Surface and Air-to-Air roles. One aircraft for all missions reducing costs, increasing effectiveness and enhancing interoperability with allied Air Forces. - Block 1: Initial operational capability and basic air defence capability. - Block 2: Initial air-to-air capabilities. - Block 2B: Full air-to-air capabilities. 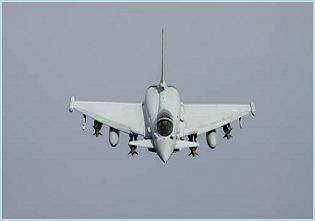 - Block 5: Full operational capability (FOC) by combining existing air-to-air role with air-to-ground capabilities. - Block 8: New mission computers required for the integration of future weapons such as Meteor, Storm Shadow and Taurus. (Differences in the build to Tranche 1 related to changes in production technology or obsolescence). 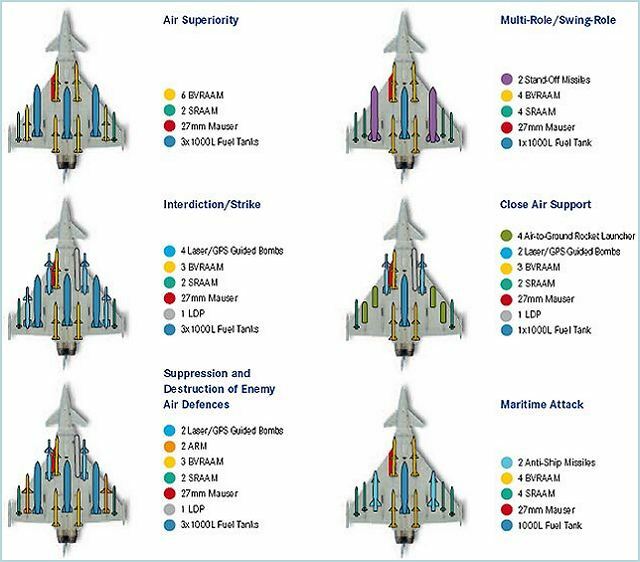 These aircraft will have interfaces for possible future improvements, but will be delivered at a Tranche 2 level of capability.The Indian Navy has made a request for information for a carrier based variant of the Eurofighter. In this contest it will once again be up against the Rafale, which split from the Eurofighter project over the need for a carrier based variant. 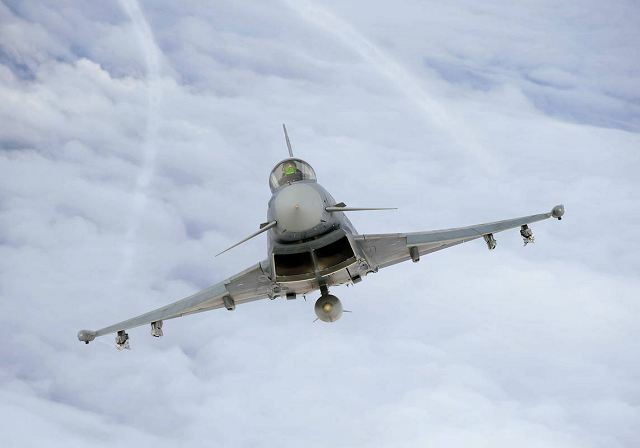 In February 2011, BAE debuted a navalized Typhoon in response to the Indian tender. The model offered is STOBAR (Short Take Off But Arrested Recovery) capable corresponding to the Indian Navy's future Vikrant class aircraft carrier. The changes needed to enable the Typhoon to launch by ski-jump and recover by arrestor hook added about 500 kg to the airframe. 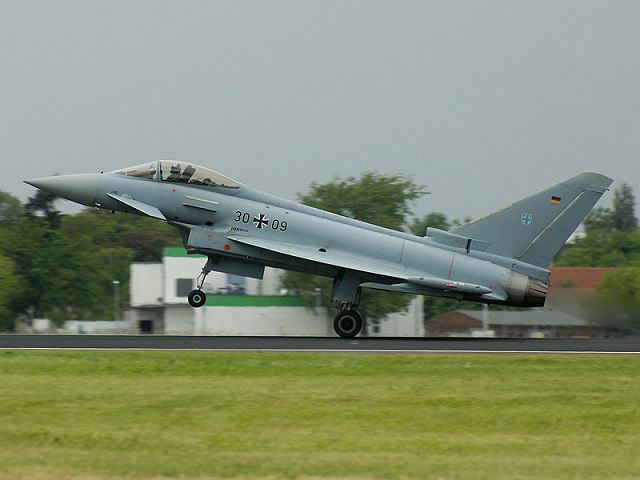 Due to its foreplane/delta low drag configuration and high thrust-to-weight ratio, Eurofighter Typhoon exhibits exceptional acceleration, instantaneous and sustained turn rate performance both subsonic and supersonic, coupled with excellent airfield performance. Using the latest control technology with a high degree of aerodynamic instability, and by extensive use of carbon composite, the resulting airframe and engine are some 10- 20% smaller and 30% lighter than its predecessors. The cockpit and Human Machine Interface (HMI) have been designed and fully tested to provide low pilot workload even in the most adverse mission and threat scenarios predicted. Other features such as Direct Voice Input/Output (DVI/O) associated with Hands On Throttle And Stick (HOTAS) control functionality have been implemented on the Eurofighter Typhoon to drastically reduce the pilot’s workload. Voice Throttle And Stick (VTAS) enables singleseat operations even in the most demanding Air-to-Air, Air-to-Surface, and swing-role missions. The Avionics System has been designed to ensure that the pilot is presented with all the information needed in the cockpit, at all stages of flight. The solution – a highly distributed computing capability linked by high-speed conventional (MIL-STD-1553, MIL-STD-1760) and fibre-optic databuses (STANAG 3910) which will further evolve to make maximum use of the rapid developments in computing power. The heart of the system is the Sensor Fusion that processes information received by the main aircraft sensors. This information is correlated and presented clearly to the pilot to allow safe and efficient single seat operation in the swingrole environment. The high level of integration and sharing of information between the sub-systems gives the pilot an autonomous ability to assess rapidly the overall tactical situation and respond efficiently to threats. The CAPTOR Mechanical Scan Radar is the best performing type of its class. This multi-mode pulse-Doppler Radar is the first airborne Radar in NATO with three as opposed to two processing channels. The third channel is used in a jamming scenario for sidelobe nulling, interference blanking and jammer classification. The Radar provides Air-to-Air and Air-to-Surface features. further. The AESA radar will offer a variety of benefits over M-Scan, including increased detection and tracking ranges, advanced air-to-surface capability and enhanced electronic protection measures. The new radar will retain the key features of the existing Captor radar architecture in order to exploit the maturity of the current system. The radar will rely heavily on the “backend” processor and receiver architecture from the existing best-in-class Captor mechanically scanned radar. 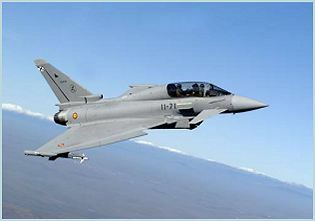 Performance of the Typhoon AESA radar will be unmatched. The very large aircraft nose allows for an optimised array (>1000 Transmit Receive Modules) and with the addition of an innovative re-positioner, the field of regard is +/-100° which is some 50% wider than traditional fixed plate systems. The wide field of view has significant benefits in both air to air and air to ground engagements allowing Typhoon to turn away from, but still engage, target aircraft and carry out high resolution SAR whilst maintaining safe distance from enemy forces. The new radar can also be retrofitted to existing aircraft. The radar will have significant growth potential and both existing and new customers will be able to participate in tailoring the radar to meet their individual operational requirements. Euroradar is a multi-national consortium lead by SELEX Galileo, a Finmeccanica Company, alongside EADS Defence Electronics and Indra. Euroradar has delivered over 250 Captor mechanically scanned radars into the Typhoon programme and has orders for over 200 more. 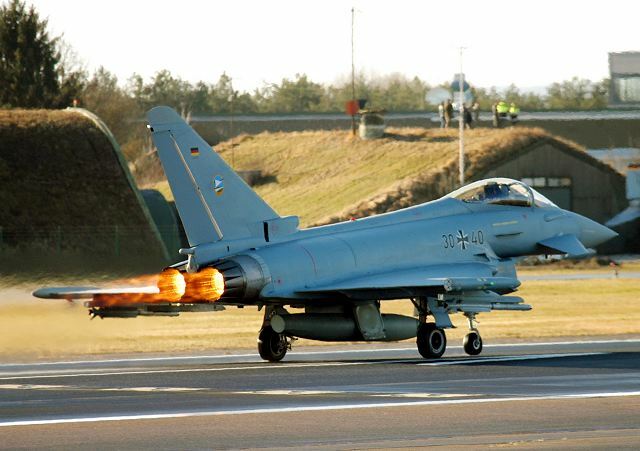 Eurofighter Typhoon is equipped with 2 EUROJET EJ200 engines to increase safety in peacetime and redundancy in war. The high reliability and subsequent availability ensure low operational costs and high safety. 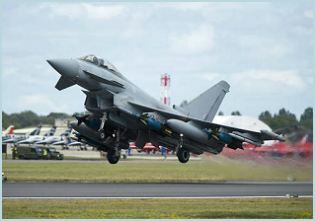 MIDS is a communication system that allows all elements – where Eurofighter Typhoon is one – of a command and control system to share the same information, and contribute data whenever required. Over huge ranges, and in any direction, the Eurofighter Typhoon pilot can listen to, and see, all relevant data on friendly and enemy forces, airfields, command decisions or mission changes. 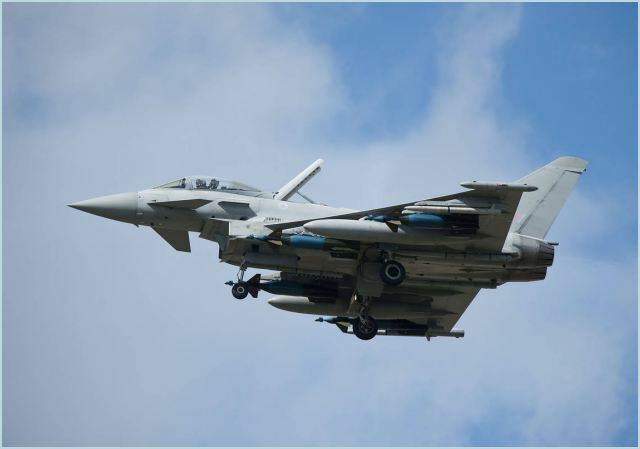 Eurofighter Typhoon will have the capacity to absorb all of this information and then process it through the sensor fusion capability to present a clear and relevant battle space picture to the pilot. 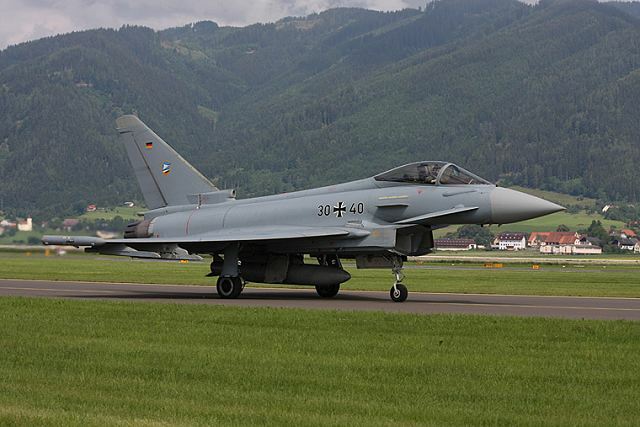 Autonomous operations for Eurofighter Typhoon will be greatly enhanced by the addition of on-board target detection, recognition and identification, using the latest EO sensor technology. This is complemented by on-board laser tracking supporting target designation for self or third party operations. 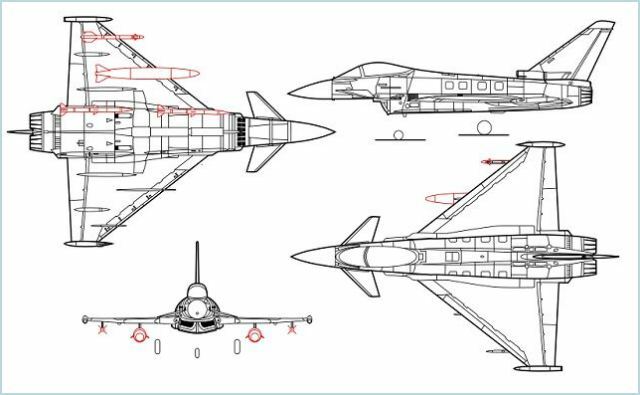 Future generations of targeting and tracking sensors will be readily integrated into Eurofighter Typhoon through the evolving avionics and weapon system architecture. As with the IRST/FLIR, multi-spectral operations will be key to future operational capability. The Eurofighter Typhoon autopilot is designed for both cruising and to free the pilot in tactical situations. The autopilot provides basic track, heading, altitude and airspeed modes, and allows the pilot to fly optimum attack profiles automatically. In fact, advanced modes such as auto-climb, autoattack, and auto-approach are available. The autopilot is an integrated part of the pilot’s tactical control. 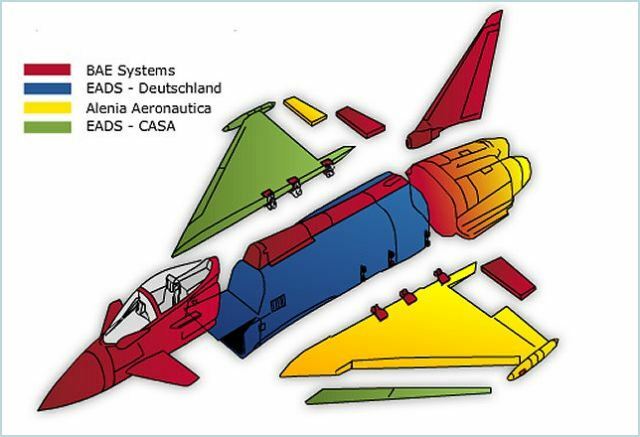 At all stages of the design of the Eurofighter Typhoon cockpit, the needs of the single-seat pilot have been paramount. High workload situations have been analysed to establish priorities and to automate tasks. The priorities of head-in and head-out operations were established, and displays and moding designed so that only necessary information is presented to the pilot. Five major display surfaces: three Multi-function Head Down Displays (MHDD), a Head-Up Display (HUD) and a Helmet Mounted Display (HMD), provide the pilot with all the tactical information he needs for all stages of his mission. Night Vision Goggles (NVGs) have been integrated in the fully NVG compatible cockpit. Voice, Throttle And Stick (VTAS) technology gives the pilot optimum intuitive controls and enhances the efficiency of the single seat operation.